It’s getting colder and we’re getting a lot closer to Christmas, just a bit longer than a week and than it’s Christmas time! When it’s cold outside our outfits will consist of layers. Tights, dress, jumper and a coat. Instead of wearing a jumper, you could alternate with a stole or a blazer. 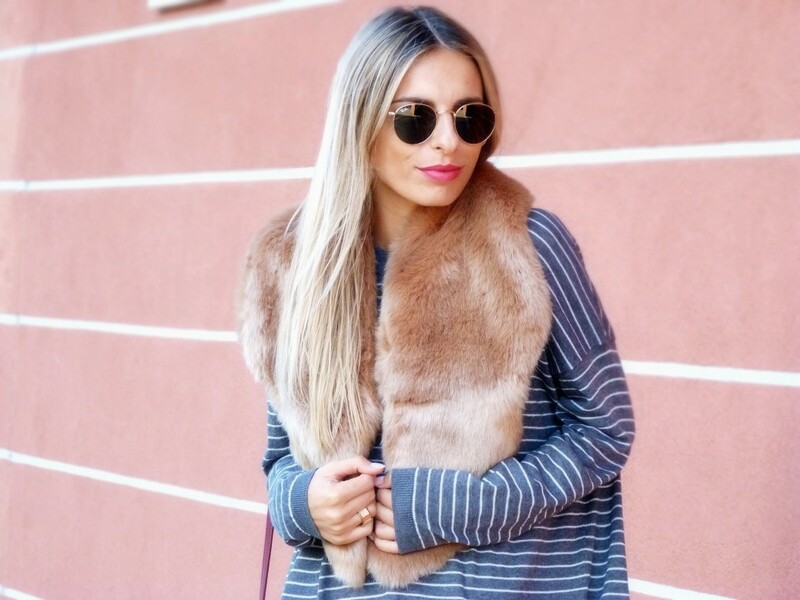 Today’s feminine winter look is from Elisabeth Mota, a Portuguese fashionblogger from Happy In The Sun. This look is the perfect example for a warm and stylish winter look with layers. It’s an outfit for a cold day, with light colors combined with warm items like a striped Mango sweater and the furry stole from Lefties. 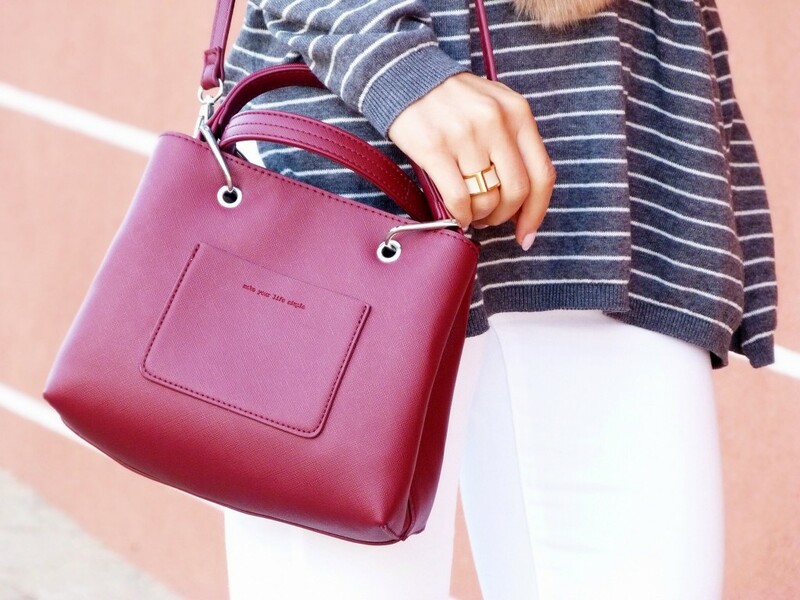 By wearing one item in a Burgundy tone, the whole look gets a personal touch. Want to see more of Elisabeth’s looks? Follow her on Instagram @elisabethmota or visit her website. You can find this whole look here. A few months ago we’ve posted another outfit from Elisabeth. It’s a summer look with a simple crop top and an asymmetrical skirt. You can see the details of this earlier outfit here.